Flip a coin. 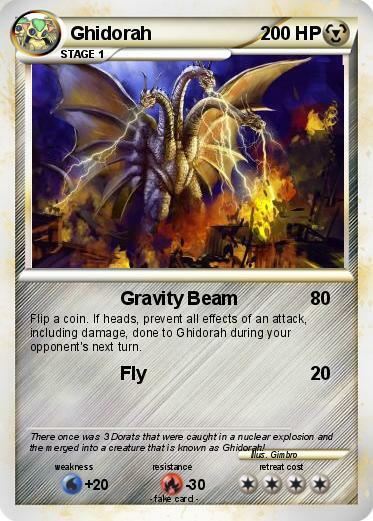 If heads, prevent all effects of an attack, including damage, done to Ghidorah during your opponent's next turn. Comments : There once was 3 Dorats that were caught in a nuclear explosion and the merged into a creature that is known as Ghidorah!